Register Log In AIRWOLF Forum Chat | AIRWOLF THEMES Soundtracks Forums Forums Airwolf Forum - GENERAL Topics Request for a Soundtrack: Werewolf! I thought I should formally make a request for a soundtrack here. I know you guys are busy with Airwolf Themes CD 2, but maybe you can tackles it later on. I wanted to know if you guys will be willing to do a Werewolf Tv Series soundtrack, selected themes if you prefer. The reason I ask you guys to do this is because you guys know Sylvester Levay better than anyone and it was he who composed the music for that television series (if you guys didn't already know). I'm pretty sure the show used synthesizers, so I guess there's no trouble about the equipment. 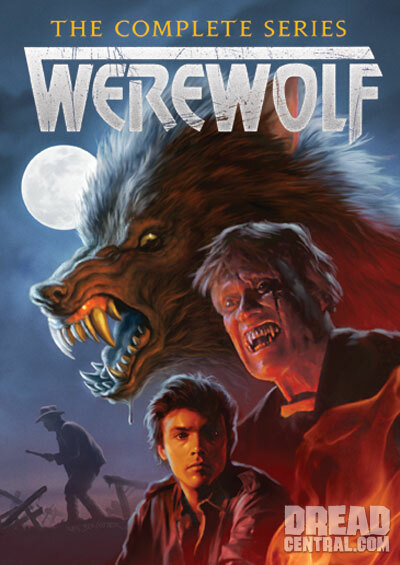 I and many others are big fan of the series, and recently we had to hear the sad news that Werewolf series would not be releasing on DVD after years of hard work trying to see that it does gets a release. I can at least speak for myself that if you guys do decide to do the soundtrack, I would gladly purchase it. However, I'm sure many other fans would instantly buy it too, seeing as how fans pushed for a DVD release, now that it isn't releasing, a soundtrack release might reignite their spirits. I would happily pass on the word so many other Werewolf fans know that a soundtrack is in works, that is again if you guys are willing to do so whenever it suits you. I have seen what you guys can do, and its amazing. It's hard to tell between your compositions and Levay's. Thus, you guys were the first ones to pop into my head. Please, if you can, will you accept this request? Well, I was certainly a huge 'WEREWOLF" fan due to Lance being in it, as well as the superb Rick Baker / Greg Cannom suits, and of course our own Sly Levay doing the music for it. I haven't watched it in a long time though. It was very much in Sly's "COBRA" period. But the reason that Shout! Factory weren't able to release the WEREWOLF series on DVD were contractural problems with music clearances, as certain episodes from the show had audio & foley mixed with music that Shout! Factory didn't have the rights to, so they cancelled it. Sounds like MIAMI VICE all over again and a potential mine-field of hurt to me. I know Gerry Forrester and I as producers have always had our eye on Tangerine Dream's STREET HAWK. As I said, sounds like a mine-field of hurt. But wasn't that issue related to songs from other bands and not Levay's work? However, you know Levay right, you can talk to him about it. You can do selected themes to which you can get the rights to, can't you? Or maybe talk to him about releasing it himself? Or I can write to him as well if you can give me his contact info like Email. If nothing else, can you guys do it as a tribute? like many Airwolf fans make their own renditions for free without copy right hassle. Though if you guys take a shot at it, it'll be great. Anyways, could guys at least give it a shot? Like ask around, you must know people in the industry eh? That's the problem, I don't know anyone else who might be willing to do this, or anyone who is capable of doing it. 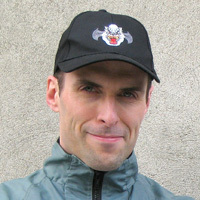 Perhaps the guy who produced Airwolf Sweden themes, sorry his name escapes me, but I don't know how to get in touch with him. I know Mark & Jan deserve a break, but I'm not rushing it, and it doesn't has to be perfect either, I just have a wish to see that Werewolf at least sees a soundtrack release. Well like I said you just gotta keep lookin, the worldwide internet is your key with endless possibilites. Mate, it's easier said than done, plus I'm not familiar with all the legal processes that come into play. It's a request not a burden so Mark and Jan are free to do whatever they want. I am fighting for it, right now! ;P Look, Mark and Jan are free to take their breaks, I don't mean to boss them around or force them to do it. I just meant keep this under their radar so they can work on it whenever they can or want to, be it 2016 or whatever. It's their decision mate, why are you getting worked up about it? Airwolf Extended Themes comes first before anything. Nothing else will even be thought off before it's out. Period. Again, thanks for the heads-up of 'WEREWOLF' (a show I never thought anyone would ever have heard of or remember -- it was only ever shown on 'Sky One' in the UK). I really did love the show back in the day (I still have it all off-air on VHS), but it's a market that I'm not really that familiar with yet (it was an obscure show after all, and hasn't been on-air much since the late 80s) and it would take a lot more research by my business partner Gerry and myself before even considering it. Again, we've always wanted to do 'STREET HAWK' with Tangerine Dream (the only recording they ever did from the TV years that was never released -- and I know there's 5 hours worth sitting there at the moment) but it would be a tiny market and I'm still not convinced as far as the business plan, compared to a franchise a heck of a lot bigger, such as Airwolf. It's all down to financial viability. As a little piece of relevant interest, "Airwolf Themes' pre-production name in the mid-1990s was "To Dream Of Wolves", a homage to the two-parter from 'WEREWOLF'! Bet you didn't know that. ^ Excuse me, mate, but it was not I who was speaking on someone else's behalf, I merely requested something and you jumped on their defense as if I had wronged them in some way. I appreciate your suggestions and I do intend to follow them as they are solid, but its a bit inconvenient when you start speaking in factual terms as if you know exactly what one would be doing with their life. No offense intended in anyway, we cool? Anyways, I too agree with Mark 100%, Airwolf comes first and anything else they wish for. My only intent was to let them know that some of us want to see a soundtrack for Werewolf (because they are the only ones who are too familiar with Levay's work) and so I have. Furthermore, it's nice to hear that Lance remembers his role as Rogan on Werewolf, would love to see his full interview on it. I also caught that little connection there, Rogan - Bogan, those two characters seem to share many traits, except I think Rogan wasn't totally evil. Both characters were getting chased by uh, Wolves though.